King Shocks has just released a unique internal bypass shock that does not have the drawbacks of the common twin tube design. 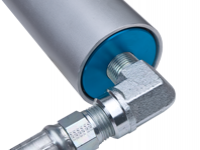 The King IBP internal bypass shock delivers precisely tunable velocity sensitive and position sensitive damping as well as a hydraulic bump stop in a bolt-on monotube shock. King’s monotube design uses a full diameter piston and standard, full size valving. 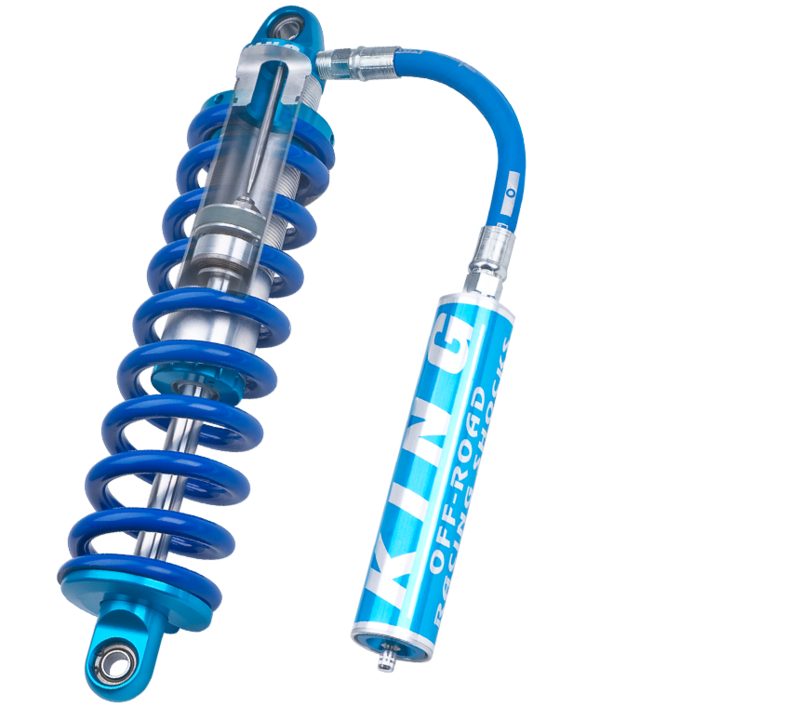 It’s built from the same quality materials and to the same precise tolerances as King’s top of the line Pure Race series shocks. Mounted to the shaft below the standard piston, a second set of valving is housed in a billet aluminum chamber that contains valve shims and port openings that allow fluid to bypass the standard piston by flowing through ports into the shock’s hollow shaft. To make the shock position sensitive, a tapered, metering rod protrudes down from the center of the top cap. As the shaft moves into the shock body during the compression stroke it envelops the fixed tapered pin. The taper gradually closes the opening in the end of the shaft restricting the flow of fluid. When the taper reaches the full pin diameter, it restricts flow through the secondary valving diverting all fluid flow through the primary piston valving. Pin length determines the point in the shocks travel where the bypass flow is metered. 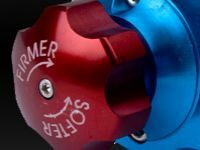 The taper angle controls how sudden or gradual the restriction. When the secondary valving is closed and all fluid is flowing through the primary piston, enough damping force exists at the last few inches of compression travel to compress the fluid at the top of the shock body creating a suspension arresting hydraulic bump stop. When you consider the multitude of valving combinations and the numerous valve chamber port configurations that exist, the tuning options in the secondary valving alone are nearly infinite. The internal bypass shock can be set-up with light valving at ride height to deliver a smooth comfortable ride while still providing substantial damping force at full compression to prevent bottoming out during hard use. The IBP can be manufactured as a smooth bodied shock to work with an existing coil, torsion or leaf spring or as a coilover shock to provide damping and suspend the vehicles weight. The IBP packs a ton of performance in a compact durable package that’s perfect for dual-purpose rigs, daily drivers or competition vehicles that are limited by rules to one shock per wheel. 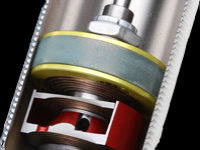 Regardless of your application, King Shocks has the solution to your performance damping needs. Nothing rides like a King. 1. Monotube design with full diameter piston and valving can be built as a smooth body or coilover. 3. Precision tapered metering rod controls the bypass flow through the ported hollow shaft. 2. Unique Internal Bypass design with velocity and position sensitive damping. 4. Dual valving allows infinite adjustability of slow speed and high speed response. King 2.0 and 2.5 shocks have a new level of versatility and performance. King shocks with our Wide Range Compression Adjuster give you the ability to precisely adjust compression from super soft to super firm with the simple twist of a knob. The clearly marked knob offers 16 positive clicks of finely tuned adjustment. You can soften your ride when just cruising or firm up the compression when hammering rough terrain or carrying additional payload. You’ll have the ultimate in performance regardless of your pursuit. Existing King shock owners are not left out when it comes to the added performance offered by the Wide Range Compression Adjuster. Your shocks can be easily upgraded with the new technology. King is continuously striving to bring you the most innovative and best performing shocks in the world.